The 80,000-odd tourists heading for the North Pole this summer are likely to witness a changing topography: icebergs crumbling into the sea, ice shelves floating away and freely navigable sea lanes that remained icebound just five years ago. Rising global temperature is melting Arctic sea ice, making a piece of the planet accessible for the first time in living memory. On their way the tourists would often encounter cargo liners on exploration missions—each clearing the way for future routes to exploit the frozen pole. These cargo liners herald the intense competition to grab the abundance of natural resources that lie under the melting sea ice. Whether the tourist is from far away India, China or Singapore, he or she will be able to gauge the future economic and political impacts of the disappearing ice caps on his or her respective economy. Recent scientific studies confirm that the Arctic is warming twice as fast as the rest of the globe. The period between 2005 and 2010 was the warmest since record keeping began in 1840. In September 2011, at the height of its summertime shrinkage, ice caps covered 4.33 million square kilometres of the Arctic Ocean. This, according to the US National Snow and Ice Data Center (NSIDC), was a 50 per cent drop from the average sea ice cover between 1979 and 2000. The Arctic is also getting thinner and younger. Its thicker, older ice caps that have formed over several years and were able to survive through the summer melt season are increasingly being replaced with ice that accrues over the winter every year and then melts away. This makes the Arctic more vulnerable to global warming. By the reckoning of NSIDC, only five per cent of the Arctic ice caps were over five years old last summer. In the early 1980s as much as 40 per cent of the Arctic sea ice was over five years old. The Intergovernmental Panel on Climate Change (IPCC) in 2007 estimated that the Arctic will have an ice-free summer by the end of this century. A few recent studies predict that this may happen as early as 2030-2040. But no one can say for sure. What everyone is sure about is summer now comes early and stays longer. “This is a very fast, profound and dramatic change in the earth system. It has significant consequences for the world,” says Vladimir Ryabinin of World Climate Research Programme. The Arctic’s vast reservoirs of fossil fuel, fish and minerals, including rare earth materials, are now accessible for a longer period. But unlike Antarctica, which is protected from exploitation by the Antarctic Treaty framed during the Cold War and is not subject to territorial claims by any country (see ‘Poles apart’), there is no legal regime protecting the Arctic from industrialisation, especially at a time when the world craves for more and more resources. The distinct possibility of ice-free summer has prompted countries with Arctic coastline to scramble for great chunks of the melting ocean. The scrambling pales the Gold Rush of the 19th century in its scope and degree. Of the eight Arctic nations—Russia, Sweden, Norway, Iceland, Denmark (Greenland), Finland, Canada and the US—several have explored the Arctic waters and found over 400 oilfields with proven reserves of around 240 billion barrels of crude oil and natural gas. This is about 10 per cent of the world’s known hydrocarbon reserves. They have also discovered significant deposits of various minerals on the seabed. New reserves will be available with further melting of the polar sea ice. The US Geological Survey estimates that the Arctic holds up to 20 per cent of the world’s unexplored hydrocarbon reserves, with potential oil reserves of 90 billion barrels, natural gas reserves of 47.3 trillion cubic metres and gas condensate reserves of 44 billion barrels. Around 80 per cent of these new discoveries are likely to be found offshore at an easy depth of 500 metres. As a bonus, the vanishing ice also opens up two new faster shipping routes that sharply reduce the distance between Western countries and Asia by connecting the Pacific and Atlantic oceans. These are the Northwest Passage along the northern coast of North America and the Northeast Passage along the Siberia coast (see map). The Northwest Passage will reduce the distance from US’ Seattle port to Rotterdam in the Netherlands by almost 25 per cent compared to the current route via the Panama Canal. The voyage from Rotterdam to Yokohama in Japan via the Northeast Passage will be 40 per cent shorter than the traditional Suez Canal route. Explorers had long sought these trans-Arctic passages as possible trade routes. With fast-rising global temperatures, if, as some scientists predict, these passages become navigable round the year in the coming decades, they could redraw the global trading routes. Shipping routes will shift from politically unstable regions like Western Asia and piracy-infested routes like the South China Sea, the Malacca Straits and the Gulf of Aden. The melting has been so fast that each shipping season attains a new milestone. In August 2008, a Danish cable ship became the first commercial vessel to pass through the Northwest Passage. It saved 15 days on its voyage from Japan to Newfoundland off the east coast of Canada. In September 2010, the first cargo ship with 41,000 tonnes of iron ore sailed through the Northeast Passage to Asia. Around the same time last summer, a Russian ship became the first supertanker to ferry 120,000 tonnes of gas condensate through the route. The largest-ever bulk carrier crossed the ocean when a Japanese ship with 66,000 tonnes of iron ore completed its voyage from Russia’s Kola Peninsula to Jingtang in China. Norway plans to ferry liquified natural gas (LNG) to Japan through the route this summer. According to Canadian and US maritime experts, nearly two per cent of the ships worldwide could be sailing through the Arctic by 2030, which will grow to five per cent by 2050. Several Arctic countries are planning deep sea ports in the pole. Shipping companies have already built 500 ice-class ships, suitable for the Arctic region. More are under construction. 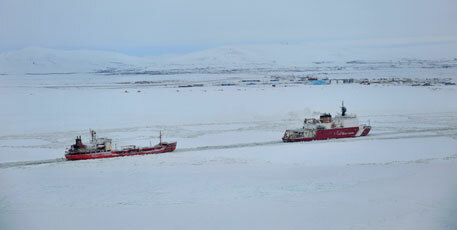 The newfound resources and routes have spurred hectic global geopolitics, especially among the Arctic nations. “North Pole melting indicates a big churning in world relations as this is arguably the largest oil and gas discovery in a long period in history,” says Vijaya Sakhuja, director (research) of the Indian Council of World Affairs, a Ministry of External Affairs-supported think-tank in Delhi. Till 2005, when definitive scientific predictions about the melting of Arctic sea ice appeared, the Arctic nations were a coherent group. They mostly focused on the environment and sustainable development of the region, says Sakhuja. They are now vying to assert their dominance in the Arctic using the UN Convention on the Law of the Sea. The law allows member states to exploit all natural resources within 370 km off their coastline. They can, however, extend their jurisdiction up to 650 km by submitting geological evidence of the limits of their continental shelves. Russia, US, Canada, Norway and Denmark (Greenland) have submitted claims for extending their jurisdiction in the Arctic territory. Does India have rights over the Arctic? It can be yes and no, depending on how one interpretes a 92-year-old treaty. On February 9, 1920, India signed an international treaty on the Archipelago of Spitsbergen. The treaty, now called Svalbard Treaty, defines the international and legal status of the Arctic archipelago off Norway. It was signed by Norway, the Great Britain and its dominions, and a few other countries. India was then part of the British Empire. It is still a member of the British Commonwealth. The treaty gives all its 40 signatories equal rights to engage in commercial activities on the islands. Norway and Russia are utilising this right for coal mining. “Technically, we have a right to explore resources in these islands,” says Shailesh Nayak, secretary of Ministry of Earth Sciences. 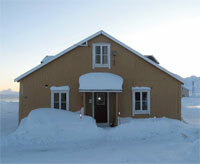 Asserting its right, India opened its Arctic research station, Himadri, in the Svalbard region of Norway in 2008. “In case of a future multilateral consensus on governance of the Arctic, this treaty gives India a major stakeholder status,” says Vijaya Sakhuja of Indian Council of World Affairs. New alliances are also being forged to extend control over the newly accessible Arctic region or gain access to its resources. Except Russia, all the other Arctic nations are part of the North Atlantic Treaty Organization (NATO), a security alliance. But that has not deterred them from charting out their own strategies for the Arctic. In March this year, in an unexpected strategic move, Norway and Russia agreed to improve military relations and expand cooperation in their Arctic territories. Until two years ago, the countries were engaged in a four-decade-long dispute over the Arctic boundary. 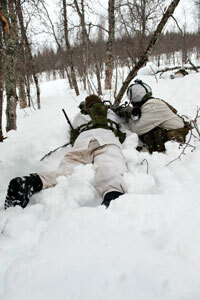 Both have created special army units for the Arctic in the past year. Russia built ice-class vessels designed to ferry military hardware and sent extra brigades to its northernmost bases recently. Norway plans to buy 48 F-35 fighter planes to bolster its Arctic defences. Other Arctic countries are also pumping in billions of dollars to build highly specialised ships. Canada has already put in place vessels to guard its Arctic territory and has ordered a new fleet of patrol ships and icebreakers. In a demonstration of strength, the US, Canada and Denmark staged military manoeuvres in their Arctic territories in February this year. In April, Norway undertook an extensive military exercise called Exercise Cold Response with the participation of 16,300 troops from 14 countries to acclimatise soldiers to such harsh weather. Behind these high-voltage military displays, the countries are evolving new strategies and changing national policies to govern and exploit the resources, mainly energy reserves. Russia, one-third of which lies within the Arctic Circle, has been the most aggressive in establishing itself as the superpower of the emerging region. About two-thirds of the resources of the state-owned oil behemoth Rosneft are in the Arctic offshore. But much of it is icebound with no existing infrastructure. To attract investment and technology, in February Russian president Vladimir Putin declared a new policy, allowing foreign oil companies to explore Arctic resources on their own. Within a couple of months, he declared another policy, offering tax cuts on hydrocarbons and minerals produced in the country’s Arctic territory. Now there is a virtual stampede among oil majors to reach the Russian Arctic. Rosneft has entered into two big-ticket agreements with Italy’s Eni and US’ ExxonMobil. To gain access to resources beyond the Russian Arctic territory, another state-owned energy giant, Gazprom, is working with Norwegian energy firm Statoil and French multinational Total on their projects in the Barents Sea. “Russia’s interests in the Arctic are economic, geographical, scientific and environmental. The Russian Arctic is also a place where the geopolitical interests of both Arctic and non-Arctic states interact owing to their geographical positions,” says Valery P Pilyavsky, vice-chancellor of the Research and Development at the State Polar Academy in St Petersburg, Russia. Boris Nikitenko, an academic at the Siberian branch of the Russian Academy of Sciences, however, thinks Russia is yet to properly explore its vast Arctic territory. “For example, some US parts of the Arctic are much better explored than the Russian part. The more we wait the less right we will have to be there in future,” Nikitenko says. Every Arctic nation thinks the same way. Though Scandinavian countries own smaller chunks of the Arctic, they have plans in place on how to exploit the resources. Norway has a 20-year plan to unlock the region’s oil and gas reserves and deliver them to foreign markets. “It is the project of a generation,” the country’s foreign minister Jonas Gahr Store told the media. Denmark recently unveiled a policy to open up its Arctic water to industry and trade. Canada sold exploration rights to BP and Exxon Mobil. The US has also indicated that it would auction the exploration blocks in the Arctic by 2015. The Chukchi and Beaufort Seas off the coast of Alaska hold around 26 billion barrels of oil. Energy major Shell has obtained conditional approval to drill exploratory wells in the region from 2013. The latest phase of the Arctic rush is being played out in the Arctic Council, an intergovernmental forum formed by the Arctic nations and representatives of the indigenous people of the pole like the Eskimo. The council discusses issues related to the environment, sustainable development and scientific research in the Arctic, and does not deal with matters related to military security. Six non-Arctic nations—the UK, France, Spain, Germany, Poland and the Netherlands —sit in the council as observers. More countries, including China, India, Brazil, Japan, South Korea, the EU and several individual European states, are now seeking observer status in the council. The status would not only keep them apprised of the fast-changing geopolitics in the Arctic, it might help them gain access to the region in future. However, India and China are emerging as the two strong candidates to join the ranks of the observers. Being member of the British Commonwealth, India has rights to carry out commercial activities in the Svalbard region of Norway under the Svalbard Treaty the Great Britain signed in 1920 (see ‘Does India have rights over Arctic?’,). Using the rights granted under the treaty the country set up its research station in the Arctic in 2007. The research station, Himadri, helps study ocean currents. In April this year it joined the International Arctic Science Council, which is an observer in the Arctic Council. “We are seeking an observer status in the Arctic Council as we want to undertake scientific studies from Antarctica to the Arctic,” says Shailesh Nayak, secretary in the Union Ministry of Earth Sciences. Even Iceland provides India and China an opportunity to manoeuvre their strategies to secure positions in the council. In 2008, the countries had saved Iceland from the verge of bankruptcy. Since then, China has been pursuing its Arctic-oriented activities through Iceland. In April this year, Chinese Premier Wen Jiabao visited the country to sign a framework on Arctic cooperation. “Cooperation (with Iceland) on the Pole is to strive to keep China from being frozen out of the Arctic,” he had told the media. Iceland’s Prime Minister Johanna Sigurdardottir gave a positive response, saying that her country supported China being given observer status in the Arctic Council. “While India’s primary interest is research, China is more into strategic interests that include cornering hydrocarbons,” says Sakhuja. The new sea routes also give China immense military advantage. Until now, it was thought that in a war with India, its largest Asian rival, the maritime action would centre on an Indian attempt to blockade the Indian Ocean. The emerging sea routes are undermining half-a-century of military strategy. China has already upgraded its aircraft carrier to be ice-class. India has also managed to reach the Arctic for its resources. A consortium led by the public sector unit, Oil and Natural Gas Corporation, has recently acquired 15 per cent stake, worth US $3.4 billion, in an Arctic project. The project is by Russia’s largest independent natural gas producer Novatek. “India has similar investment plans with companies of other Arctic countries. Our experience in natural gas extraction projects in Sakhalin (sub-Arctic island in Russia) prepares us to work in Arctic conditions,” says Sakhuja. India’s technological experience in ocean floor exploration for minerals and other resources may also be helpful while working in the Arctic. In India, there is a debate going on over whether the country should pursue a resource-oriented approach or just strengthen its research base. “There are experts who argue that India should follow China in seeking a share in the exploitation of Arctic resources. But this would be short-sighted,” says Shyam Saran, a senior fellow with the Centre for Policy Research, a think-tank in Delhi. India lacks in financial and technological capabilities to match the countries in the forefront of the current Arctic scramble. Besides, Saran points out, such projects ignore the much greater damage, compared to any possible benefits, that India may have to bear if the Arctic continues to be ravaged by unchecked human greed. The road to Arctic’s bounty is not without obstacles. On the one hand, there are environmental concerns that call for restricting industrial activities. On the other hand, is the challenge of building infrastructure in extreme weather conditions, which may hinder exploration activities and affect the economic viability of projects. Even the existing projects may face the heat. They are built on permafrost, and in the event of its thawing the same infrastructure would have to be rebuilt. The International Energy Agency’s World Energy Outlook 2011 stated that due to logistical challenges the Russian Arctic continental shelf might not become a major production area until 2035. While the dash to claim great chunks of the Arctic has begun, there are no preparatory studies to gauge the impacts of such widespread activities on the region that so far remained under permafrost. Being the lesser studied pole, there is no accurate inventory of its ecological resources. “The pristine Arctic nature has not been researched yet, and launching any production in the Arctic offshore would kill the natural habitat,” says Alexei Knizhnikov, head of oil and gas ecology at WWF Russia. 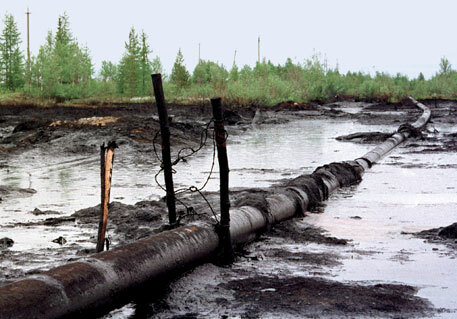 There are also fears of oil spill, which can seriously damage the ecology. At present, Knizhnikov warns, there is a wide technology gap. There is no equipment and infrastructure to remove a massive oil spill in icy conditions, and there are no sanctions on companies in case of an accident. “The tragedy with the drilling platform Kolskaya showed that we cannot even save people, let alone nature,” he adds. The drilling platform off the Sakhalin coast capsized and sank following a severe storm in December 2011. Though no oil spill happened it brought out the dangers of offshore drilling in the Arctic. What’s more, the melting itself may prove disastrous for the global climate. The Arctic Council in 2011 sponsored a study to gauge the impacts of climate change on snow, water, ice and permafrost in the North Pole. Some 200 scientists worked on the project. According to their report, the melting of Arctic ice and thawing of permafrost will accelerate global warming further through a mechanism called “feedback effect”. When permafrost melts, it releases carbon into the atmosphere. Margareta Johansson, one of the researchers from Lund University in Sweden, says, “Our data shows that there is approximately double the amount of carbon in the permafrost than there is in the atmosphere today.” More greenhouses gases means more heat is trapped in the atmosphere, resulting in more global warming. Depleting snow cover also leads to low reflection and higher absorption of sunlight. This will increase atmospheric temperature of the Arctic and induce further melting. “Comprehensive multi-disciplinary assessments for the whole Arctic and with breakdown to regions and localities that would facilitate their sustainable development, can help change the paradigm of life of the local residents from surviving to thriving, and would help protect the environment,” Johansson suggests. 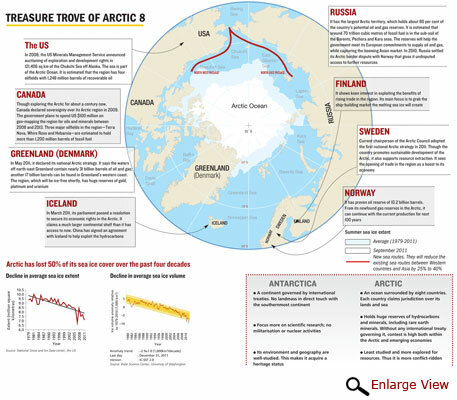 The debate over whether to exploit the Arctic now revolves around two perspectives. The Arctic nations want to reap the riches, while the non-Arctic nations want the pole to be preserved as a global commons, such as Antarctica or international sea. But so far there have been no substantial global initiatives to decide how to govern the Arctic. This could be due to two major reasons. One, the Arctic has hydrocarbons. Two, its geographical location is unique. Under the UN Convention on the Law of the Sea, all eight countries bordering the Arctic have territorial claims over the ocean waters. Since researchers have confirmed that the rising temperatures will open up a treasure trove of natural resources in the Arctic, most Arctic nations have submitted claims for extending their jurisdiction in the Arctic territory. Until the convention finalises the claims in 2014, one cannot say how much of the Arctic will come under the international law. A similar situation of many contested claims existed for Antarctica before the Antarctic Treaty of 1961 came into force. But a provision in the treaty made the claims non-actionable to avoid future conflicts. If the claims of all Arctic nations are admitted, there will be very little sea worth a global commons management. Ironically, Vladimir Ryabinin of World Climate Research Programme, says, melting Arctic sea ice due to global warming will offer possibilities for additional extraction of hydrocarbons, which in turn will strengthen anthropogenic influence on the global climate. A warming Arctic will no doubt bring benefits to some, but the rest of the world will have to pay the cost. This novel describes a situation that many of us fear will be upon us soon. It is set in a world, 50 years from today. The polar ice caps have succumbed to global warming. The Northwest Passage, the search for which led to the doom of many a 17th century explorers, is now the gateway to a new wild West. The opening of the passage has meant that the Scandinavian countries, Canada and Greenland, are global superpowers. There is a scramble for the Arctic’s oil resources and a mad rush to explore virgin territories. The United Nations Polar Guard, an international agency that polices the Arctic Circle region, suspects the region is also rife with drug dealing and human trafficking. Nuclear and solar power are now big business. The Polar Guard suspects some of the mega corporations dealing with nuclear power of dumping their nasty waste in the deep Arctic waters. Enter Anika Duncan, a Nigerian airship pilot with the Polar Guard. On a routine expedition, her airship’s sensors pick up something conspicuous. Within seconds her aircraft is fired at, killing her co-pilot, Tom. The initial suspect is a ship carrying radioactive waste. Then the accusing fingers point to a nuclear warhead. But there is something far sinister floating around the Arctic Circle, a technology that could alter the geopolitics of the world for good, and whoever controls this futuristic technology can easily hold the world’s superpowers hostage. Soon Anika finds herself hunted as a criminal and must go on the run. She can only trust a mercenary spy Roo, and an unusual drug lord Violet, and the three have journeys that are intense enough to make Arctic Rising a veritable page-turner. 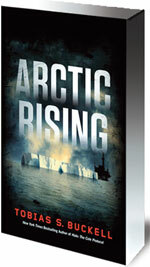 The swashbuckling thriller wrestles with the geopolitical consequences of global warming on the Arctic north. But unlike some other futuristic literature set in times of climate change, Arctic Rising is not preachy and apocalyptic. Tobias Buckell keeps us enraptured while he teases out a plausible future. His questions are complex: Who will benefit from global warming? Will bringing back the ice save humankind? Will techno solutions to reverse climate change work? What would be the power equations in the new world? Buckell’s descriptions of the new Northern settlements—from towns in the northern Canadian islands to the polar glacier settlement Thule—are driven by interesting sociopolitical speculations. Thule is privately owned by the Thule Corporation, a consortium of oil companies that imposes minimal rules on the many entities to whom it licenses space. The main rules being that you have a right to travel anywhere in Thule you wish, you may leave Thule whenever you wish, and hindrance of free movement of any other person is prohibited. The Thule Corporation leaves it to each of the leasing demesnes to set up their own political and legal system, so Thule comprises some 40-odd mini- countries. Anika describes Thule as “confusingly and contradictingly, a replication of relatively unfettered laissez-faire mercantilism run amok”. The global warming-ravaged Arctic is somewhat different. It provides a refuge for an interesting cross-section of the world: many individuals and cultures on the fringes have gravitated to the Arctic. The region is in many ways akin to the early US—a melting pot bringing together people seeking an identity. The laws are loose and there are enough marginalised people willing to rough it out for a better future, a brave new world, very different from Aldous Huxley’s Pavlovian vision. Congratulations on your very interesting article. I am interested in your sources of information. Just where did you get to know that Norway and Russia forged an alliance? In the last 17 years there is no change in global temperature. Arctic ice is far far less than Antarctica ice. Seasonal pattern of Antarctica ice in the last decade is above the average seasonal pattern but within the standard deviation. Seasonal pattern of Arctic ice in the last decade is below the average seasonal pattern but within the standard deviation shade except 2012, which is within twice the standard deviation. In statistical term, it is also within the extreme variation limit. So, they are moving up and down with summer low and winter high. Of course! They are totally "worth" it. More resources to plunder is always a "good" thing, right... and hey! there are barely any pesky tribals to obstruct these "development projects"! Only profits we see at the horizon, for the drillers and those who let them drill. Bring more oil; burn more of it in another million lightless lamps. Let the last flicker of our civilization be doused in the willful dark ignorance that prevails the myopic minds of our semi-intelligent administrators. Indian diplomats and scientific experts should keep close eye on these recent development in Arctic circle.This time we should not miss the bus in exploring the unexplored areas.